The UK's experts in Specialty Timber & Wood Finishing. 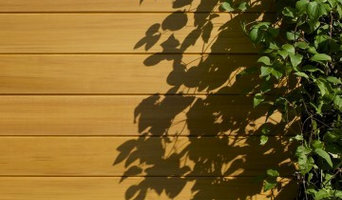 We supply Cladding, Decking, Shingles, Shakes, Fencing and more. Artificial Green supply a wide range of realistic artificial plants, trees, topiary, green walls, flowers and contemporary planters. 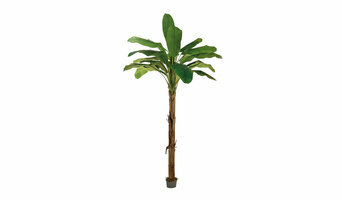 High quality artificial plants and topiary trees made from high grade materials. Our range of fake trees and plants include topiary trees, topiary balls, green wall panels, palm trees, pandanus, olive trees, bay trees and bamboo. 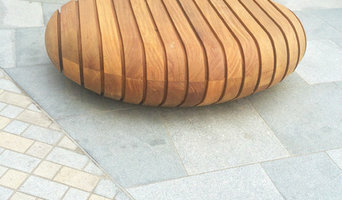 We can also supply bespoke large planter solutions. We also provide an installation service for our artificial green walls. 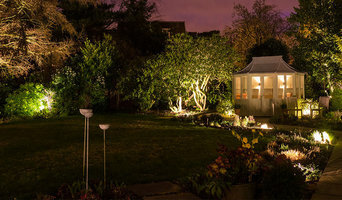 We are driven first and foremost by design to deliver cutting edge garden lighting for your garden, that we also fully install and maintain taking full responsibility for your project. 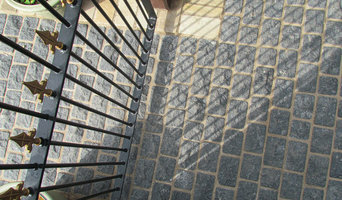 Landscape by Design prides itself with the high quality work it produces. We offer the complete garden design and construction service from concept to completion for all gardens, large and small. We work all over the North west from Soulthport to Anglesy. A well planned garden should be a pleasure to use whether you’re wanting a contemporary area for entertaining, a safe place for your children to play or a low maintenance garden. Whatever your requirements we will work with you and offer creative ideas and solutions to create the perfect garden for your needs. We are leading gardeners in Warrington and we always strive to deliver the most quality results in the area. The services we offer include landscaping, lawn maintenance, leaf clearance, gardening, lawn care, and even gutter cleaning. Don't hesitate to call us anytime! Felton's gardeners have many years of experiance in the gardening field. Our team are high qualified experts which work fast and professionaly. If you need from improving the garden our gardeners can provide a help at any time. Hedges Direct Ltd are specialists in hedging plants, available nationally by ordering online or by phone. Our website has been selling fantastic quality hedging for almost 10 years and we now sell over 1 million plants a year, all despatched from our nursery in Lancashire. We're experienced in supplying very large quantities of hedging to landscapers, garden designers and builders as well as commercial and residential customers. Benefits for trade customers: - Our expert team will provide competitive quotes immediately. - Agreed delivery dates and guaranteed AM delivery slots at no extra cost. - We don’t just sell hedging, we also supply quality turf, topiary, trees and topsoil as well as instant hedging, pleached trees and hedging screens. - Our hedging comes in a huge range of species, in every root type and if we don’t already stock it, we’ll source it! - We don’t stop there – you can order all of your planting essentials for a complete service. Guards and canes; stakes and ties; irrigation systems; fertilisers and soil treatments for total convenience. One of our many loyal customers Hew Stevenson of Shoots & Leaves, Landscape Design and Construction: “When it's hedging I need I don't need to go anywhere else! Hedges Direct have the best range of hedging that I know of, their staff are both friendly and knowledgeable and delivery is swift. I have been using Hedges Direct for some years now and would recommend them to anyone.” We’re open seven days a week with late night openings during peak seasons to make sure we’re here when you need us. Feel free to call us (01257 263873) over the weekend when our phones are answered by the same experienced team of staff that are there to help during the week. What garden supplies can I get from Liverpool, Merseyside garden centres and landscaping retailers? If you’re going for a complete overhaul of your garden, then you’ll probably need soil, turf, large plants, trees, decking or patio materials to make a start. Wholesale garden suppliers in Liverpool, Merseyside will be your best option for all the basic garden supplies, so get in touch with them to discuss your needs. Once you have the foundations of your garden sorted, then the adorning and decorating can start, which is where Liverpool, Merseyside garden centres will become your new favourite haunt. From seeds, small plants, garden ornaments and plant pots to the bigger structures such as pergolas, greenhouses, garden furniture, water features and planters, garden centres will offer a wonderful range of garden supplies and accessories to help you lade your garden with lovelies. Find specialistLiverpool, Merseyside garden suppliers if you’d like more uncommon garden features, like fire pits, garden sculptures, raised flower beds or special garden lighting. You can even find vintage garden accessories from some retailers if you want the shabby chic, eclectic garden look. Garden suppliers and landscape supply professionals in Liverpool, Merseyside will be able to offer advice on the suitability of certain products for your garden design and possibly assist with the installation and maintenance of your garden supplies and features. You may wish to involve a garden contractor or landscaper in your garden supply choices, as they will also have a clear idea of what materials and items are best. They may also be able to recommend Liverpool, Merseyside garden centres in your area that they have worked with before. Here are some related professionals and vendors to complement the work of garden & landscape supplies: Landscape Contractors, Main Contractors, Landscape Architects & Garden Designers. Find landscape and garden supplies on Houzz. Search the Houzz Professionals section for Liverpool, Merseyside garden centres and garden suppliers. Browse photos and read reviews. You can also explore full-service Liverpool, Merseyside landscape architects and garden contractors.